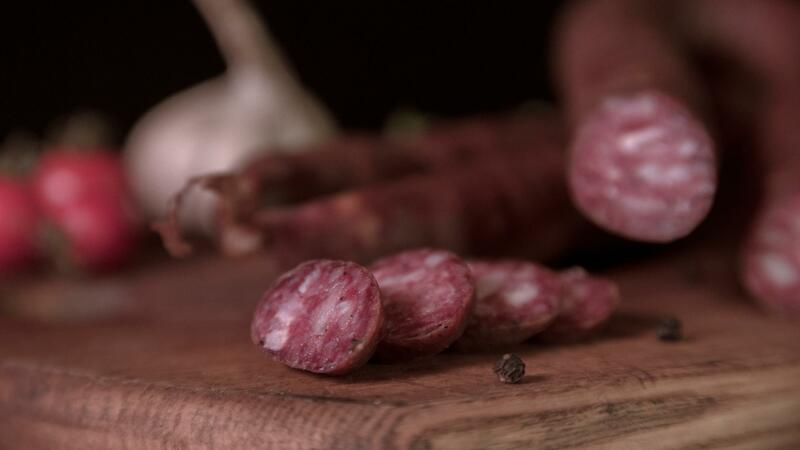 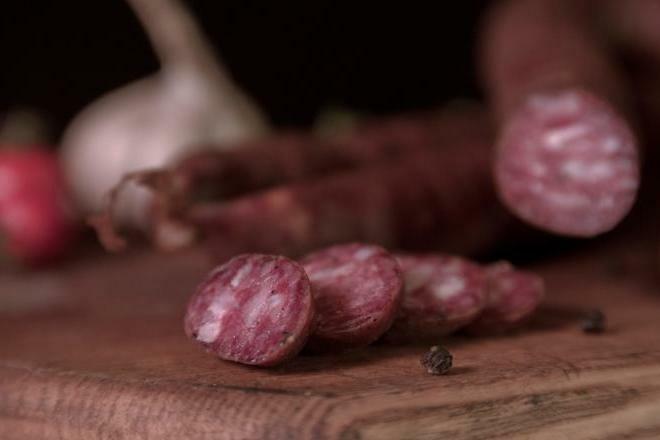 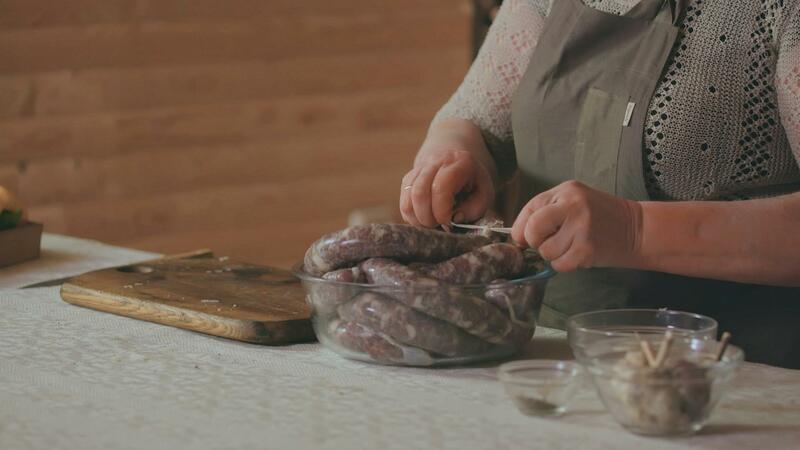 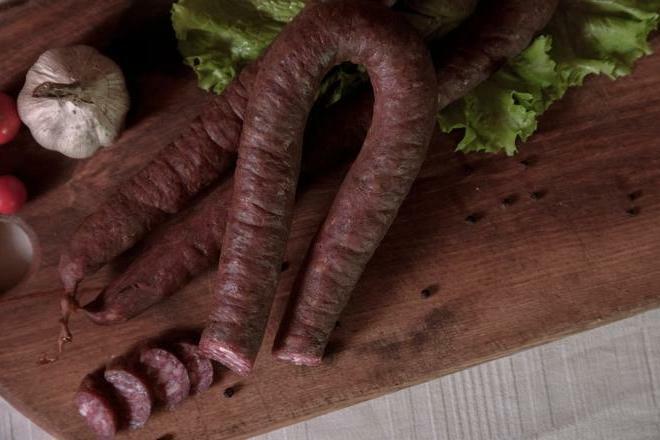 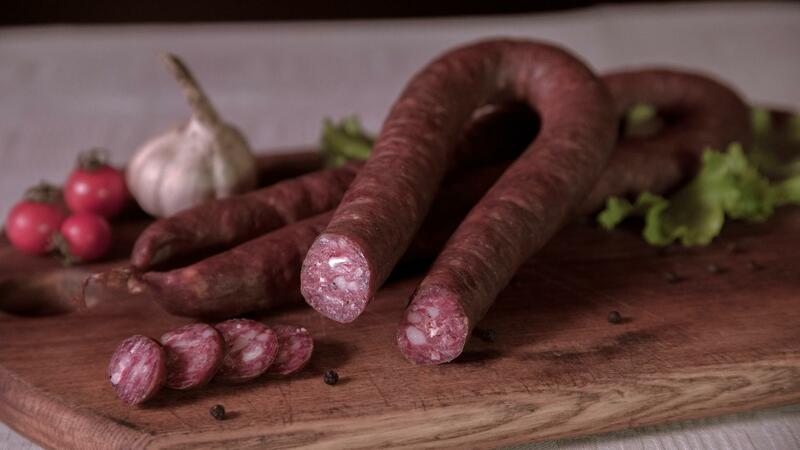 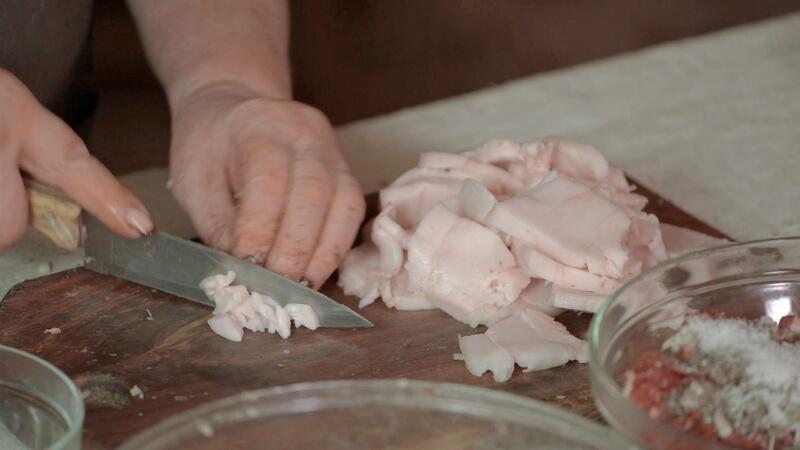 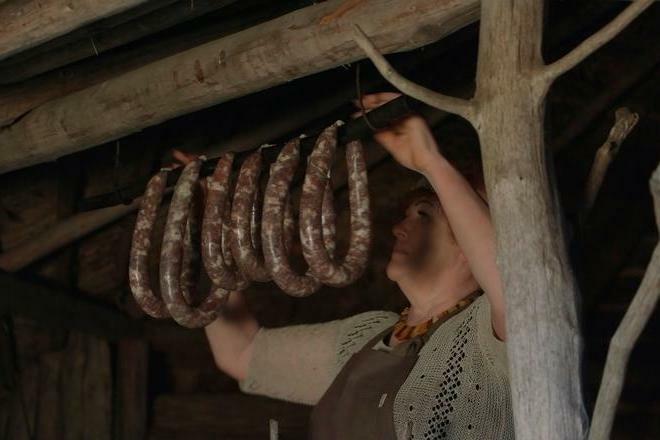 The production of dried sausages is the most complicated. 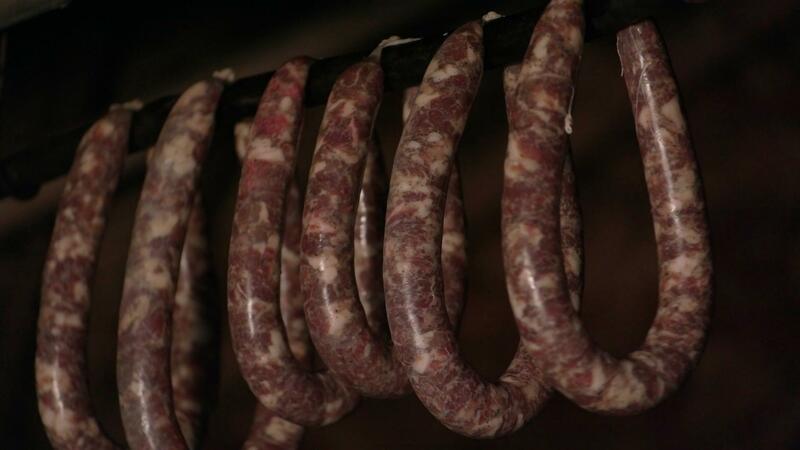 The careful and thorough process of their production lasts for four weeks. 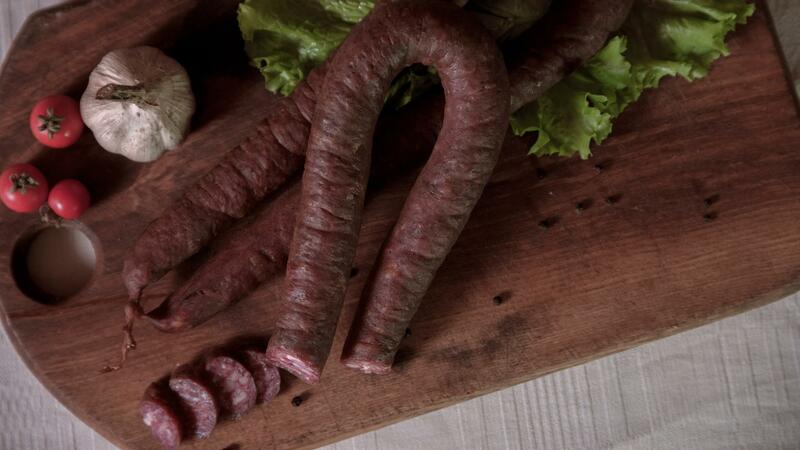 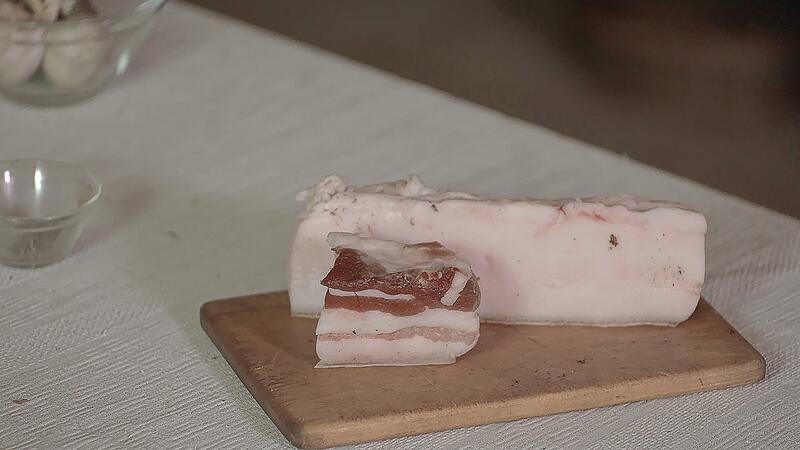 The production process consists of four basic operations: raw material selection, grinding, stuffing, aging. 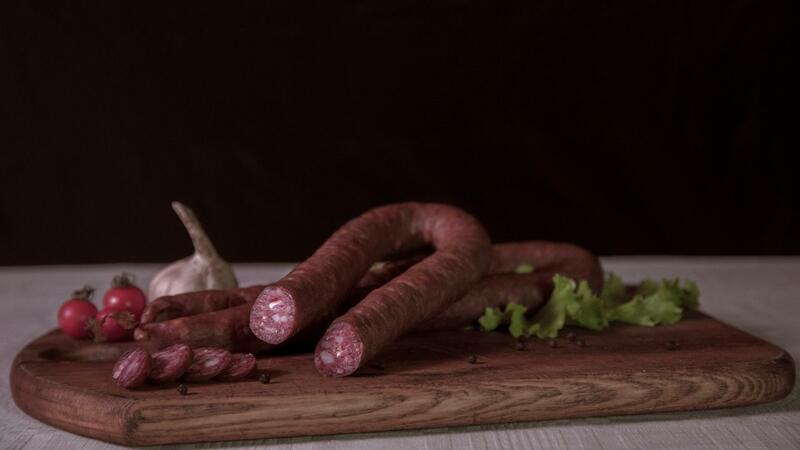 Not only pork and beef, but also fat are used to make sausages. 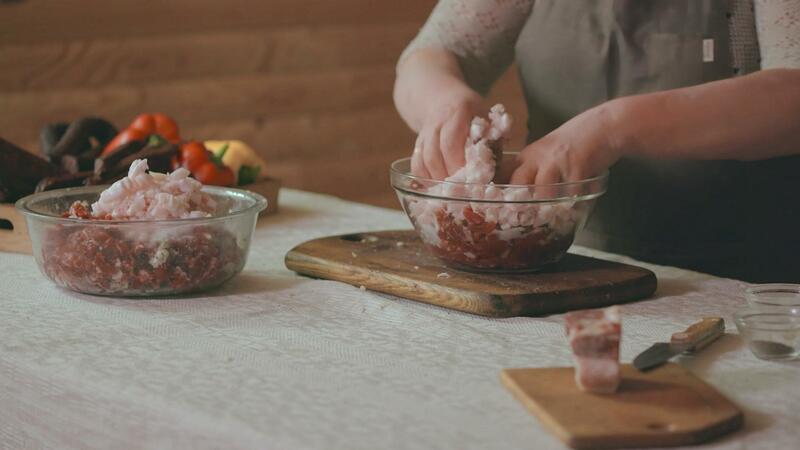 The selected raw material directly influences the composition of the product - how much it will contain muscle, how much – pieces of flitch. 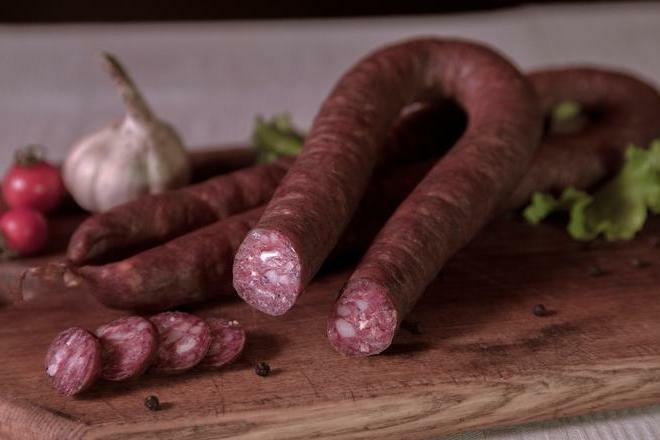 As the sausage must not only be tasty, but also to look good, using only the hard pieces of flitch of the loin gives a clear-cut mosaic. 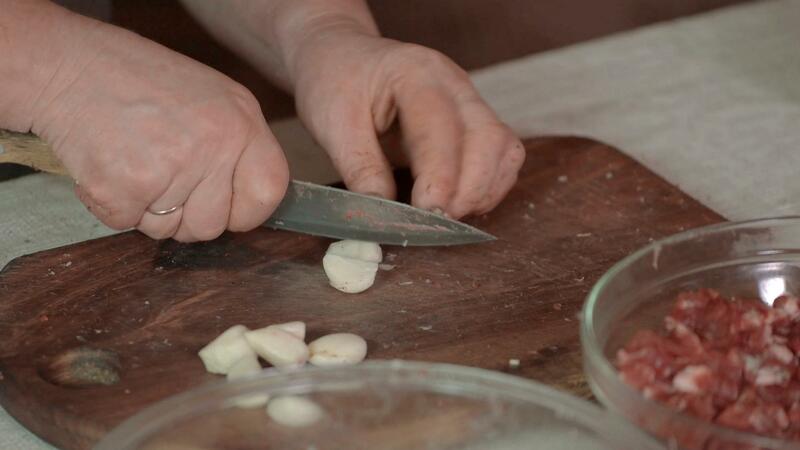 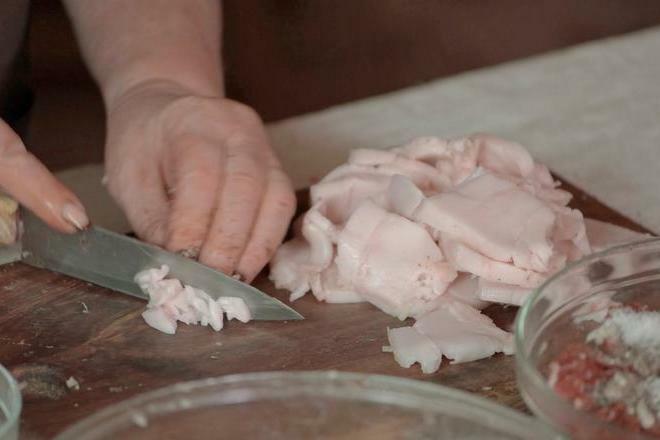 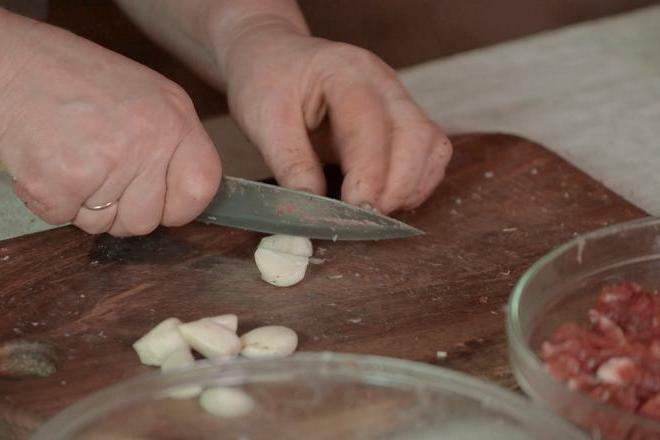 Remove tendons, cartilage and soft fat from the meat. 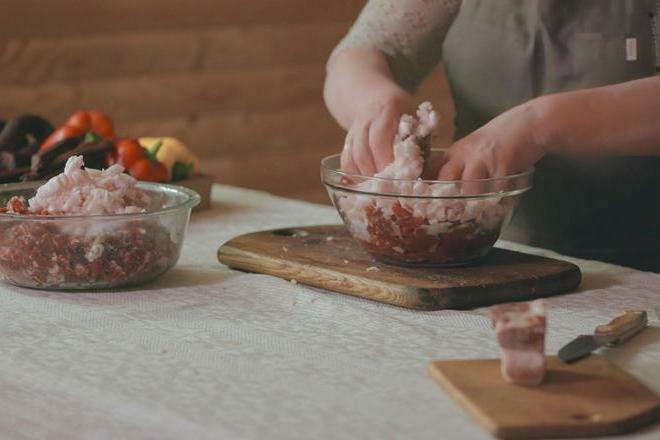 Cut all the meat finely or cut half the meat and grind the other half. 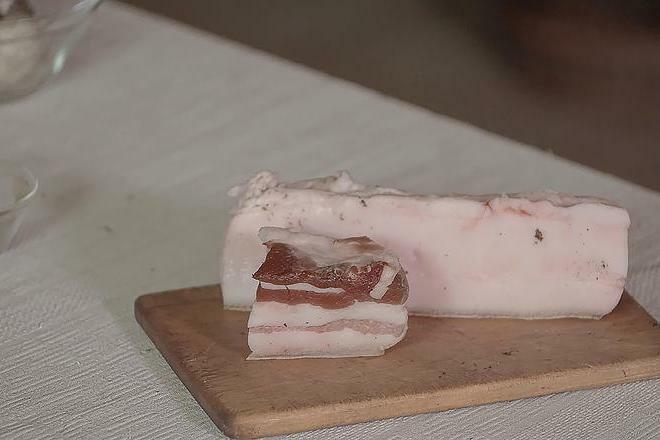 Cut a good hard fat of the dorsal part into small pieces, add to the meat and mix well, so that everything would be evenly distributed. 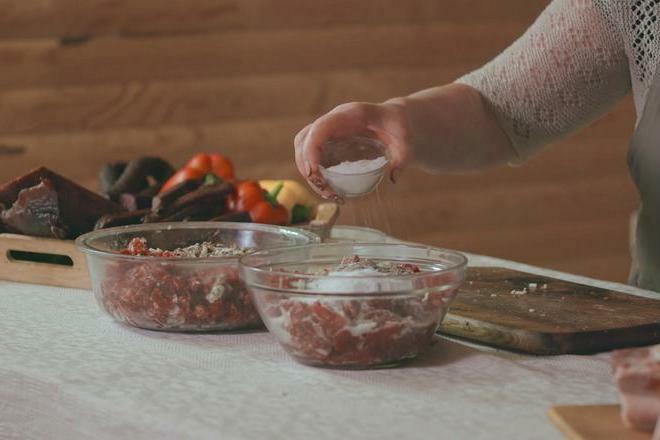 Mix all the meat. 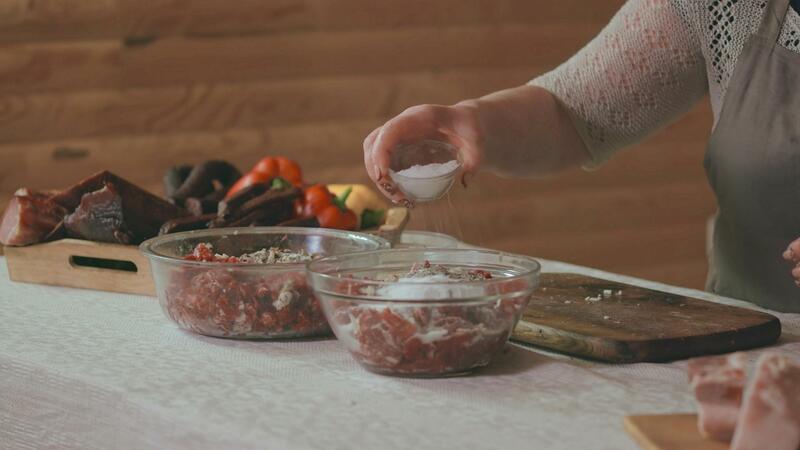 Add crushed spices, finely chopped garlic and salt and mix all the components. 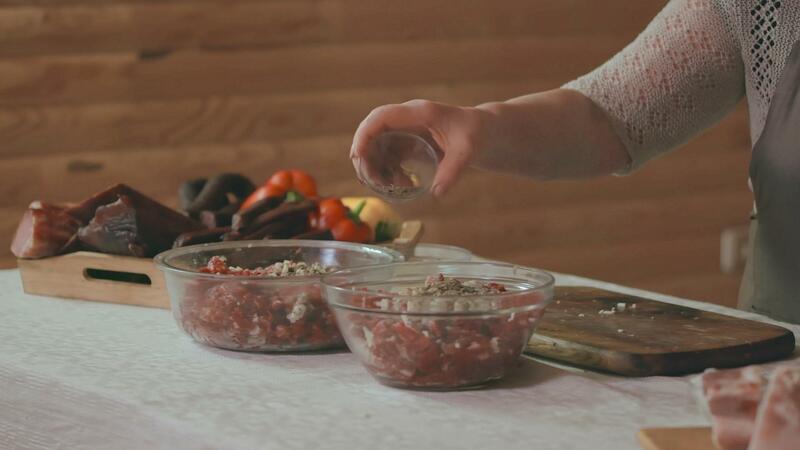 Fill the prepared guts with ready meat immediately. 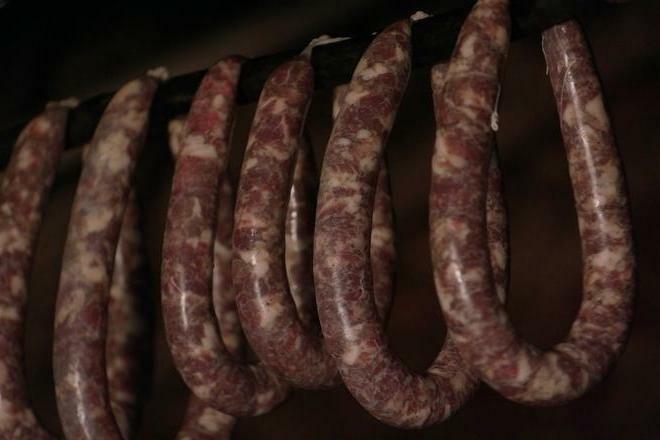 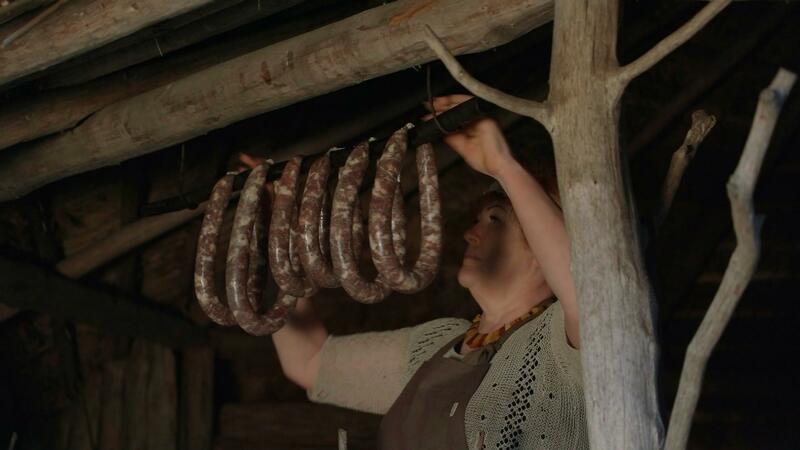 Hang sausages near the oven and, as soon as they dry out, hang on the pole in the barn or in the attic of the house.